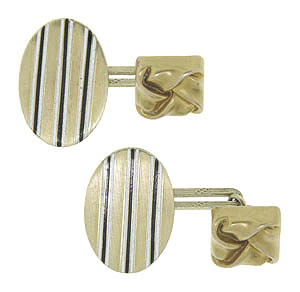 Black and white striped enamel covers the faces of these wonderful 14K oval Art Deco cuff links. 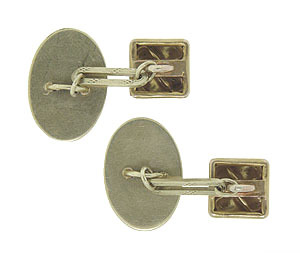 The oval links measure 3/4" x 1/2". Circa: 1925.